Because we fit more S2000 hoods than most other companies we have managed to negotiate a lower price with the manufacturer and have passed this saving on to you. See below for our new lower prices. Please remember, this is for a limited time only. 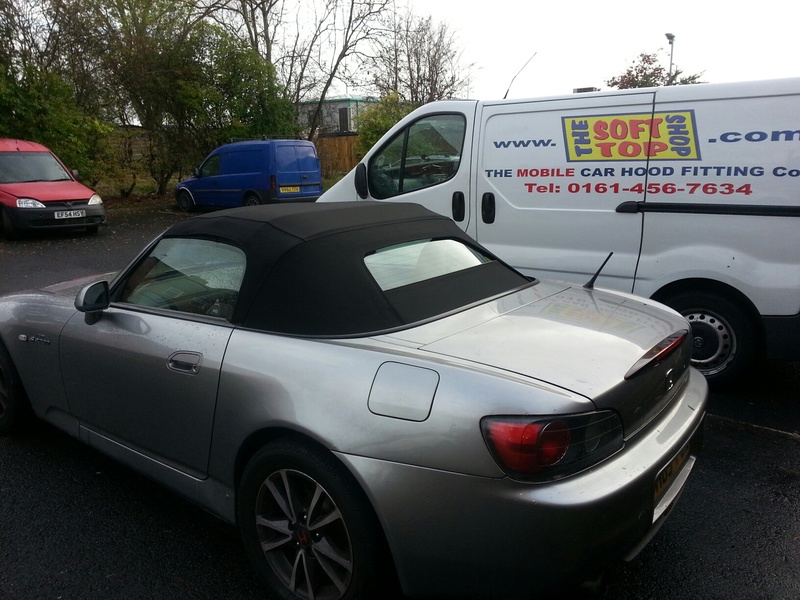 We probably fit more S2000 hoods than anyone else in the North. 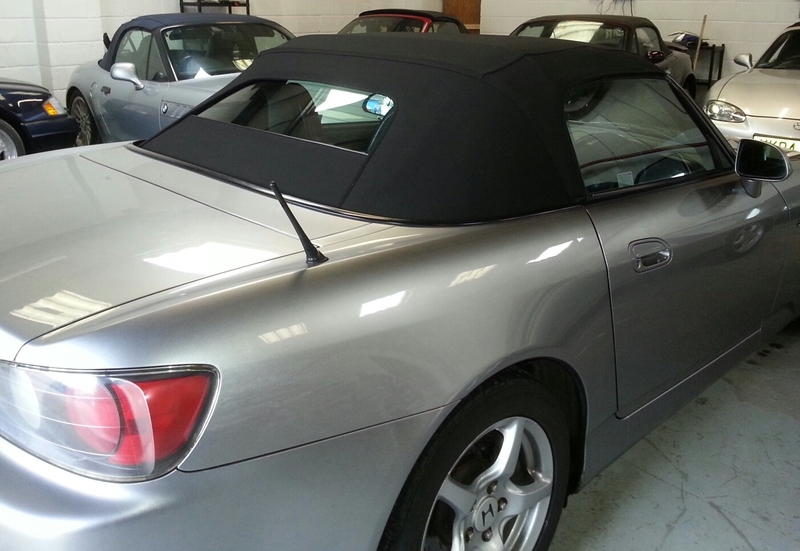 Our hoods are made to our own specification using either original twilweave vinyl or the highest quality haartz mohair and come complete with a glass heated rear window. The original hood and frame had a common wear point, we file down the burr on the frame and our hoods have reinforcement patches which eliminates this problem. 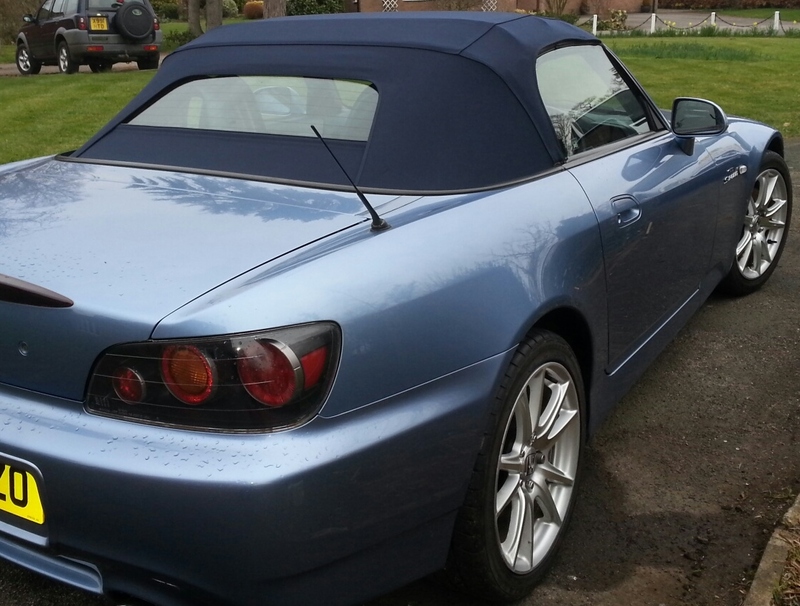 Our hoods will fit ALL S2000 models including those with a plastic window. Clean out the drainage channels. Clean, lubricate and polish frame. For our mobile service, please see our "contact us" page for details of the area we cover.